The biggest stars are fêted on both sides of the Atlantic. The festivals attract thousands of enthusiasts. The merchandising is flourishing. Welcome to the glamorous world of the scrapbook — or to give the trend its full French title, le scrapbooking. This is the distant cousin of the childhood albums containing outof-focus snaps, irrelevant cuttings and embarrassing souvenirs that once flourished in Britain. Reinvented as an adult hobby in the US, le scrap, as it is known in chic Parisian circles, has become a Gallic passion involving artistic endeavour, money and a hint of one-upmanship. “It has become very sophisticated indeed,” said Emma Rehri, one of France’s best-known scrapbookeuses. She will be among the stars at Version Scrap, a European scrapbook festival that is to be held in Paris next weekend. America’s greatest scrapbook compilers, such as Kim Kwan, Tena Strenger and Pam Garrison, will also be there. “Their names will bring in the crowds,” Mrs Rehri said. 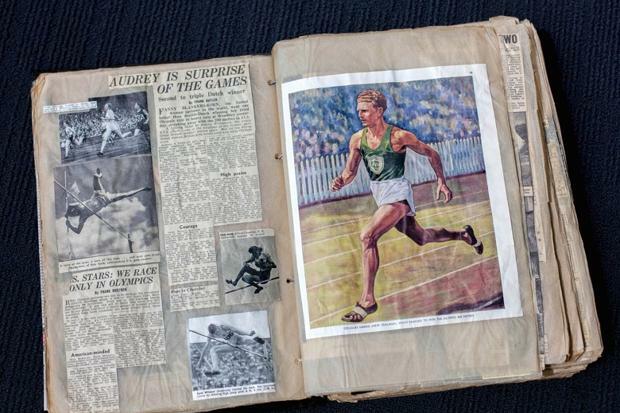 There will be competitions, exhibitions and at least 70 distributors selling the material needed for a contemporary scrapbook. “Version Scrap is the place to get the latest ideas and follow training sessions laid on by the most widely respected figures in the world of le scrap,” says the festival’s internet site. Scrapbooks were invented by the Ancient Greeks but the modern variant was launched in Utah in the 1980s as a way of embellishing family photo albums. A dizzying variety of albums in different colours, textures and designs are available. The aim is to decorate them with stickers, stamps, dried flowers, eyelets, lace, ribbons, fasteners or whatever object takes the creative fancy. 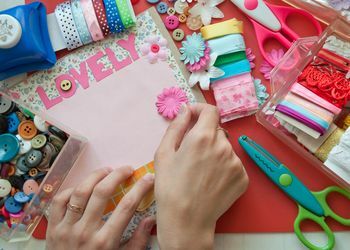 In the US, where a scrapbook magazine recently claimed that the hobby has become more popular than golf, the industry is worth $2.5 billlion (£1.25 billion) a year. In France it has become a social phenomenon. The country — where scrapbooks were unknown until the 1990s — boasts about 50 internet sites selling le mat?riel de scrap, at least two dedicated schools and dozens of workshops. This weekend, for instance, at a workshop at Le Temple du Scrap, a specialist store in Paris, 15 or so middle-aged women were busy with scissors and glue as they perfected their technique. More than 90 per cent of les scrapbookeuses are women, who meet at weekends to compare techniques and albums in associations and clubs across the country. When they visit Le Temple du Scrap in Paris, a specialist store, enthusiasts typically spend between €50 to attend, and the best are booked up almost as soon as they are announced. “Le scrapbooking has really exploded in France over the past three years and it’s continuing to grow,” Mrs Rehri said. One explanation is France’s long history of artistic creation. A second is the 35-hour working week, which has left the French with more time on their hands than almost anyone else.